Ollie Robinson hopes hip surgery will make him even better next year – that after topping 70 County Championship wickets in 2018. The 24-year-old was one of the top English bowlers in the competition and one of the most used, getting through a marathon 450-plus overs. Now he is facing a procedure that should leave him free of a niggle that has hampered him at times. Robinson said: “I’ve a hip op at the start of October. it’s only keyhole so it’s not major. I’ve got a little bulge in the joint so this will smooth it out and maybe make life a bit easier. “It’s something I’ve had for a while but I think because I’ve bowled more overs this year it’s been more noticeable. 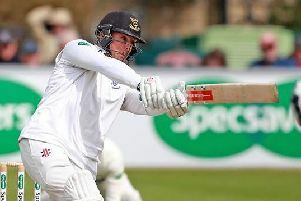 Robinson feels Sussex have made great strides this year and can get stronger. “If you look at where we were last year compared to this year, we’ve come on in leaps and bounds.